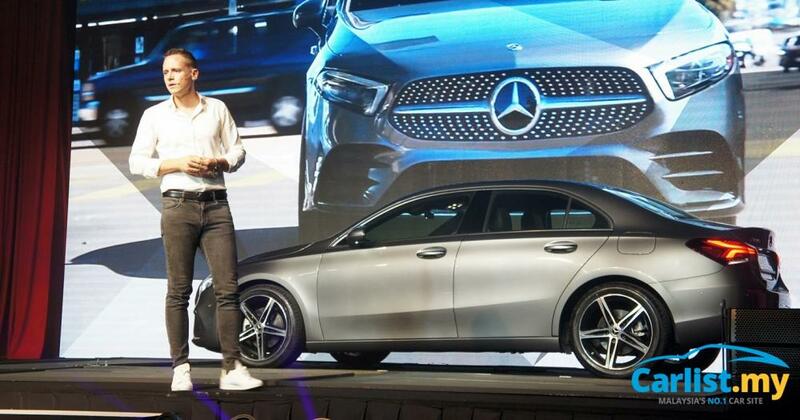 Mercedes-Benz Malaysia (MBM) ended the first quarter of 2019 with 2,944 vehicles delivered, 12 percent lower than the same three-month period in 2018. 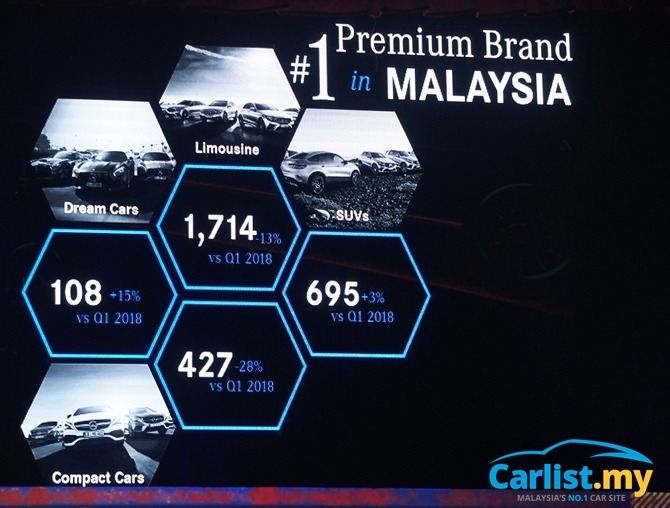 Despite the contraction, Mercedes-Benz remains the leading premium automotive brand in Malaysia.  The contraction is mostly due to shortfalls in the A-Class (down 28 percent to 427 cars) as well as its core C-Class and E-Class sedans (down 13 percent to 1,714 cars). On the upside, sales of SUV models grew by 3 percent to 695 cars while its Dream Cars range grew by 15 percent to 108 cars. Despite the challenging market conditions, MBM said March’s deliveries was its best-ever, at 1,334 vehicles, buoyed by five new model launches - E200 Sportsstyle Avantgarde, E 300 Exclusive, E 350 AMG Line, GLC 300 Coupe and GLE 450 AMG Line. Except for the imported GLE 450, all models listed above are locally-assembled at MBM’s vehicle assembly facility in Pekan. 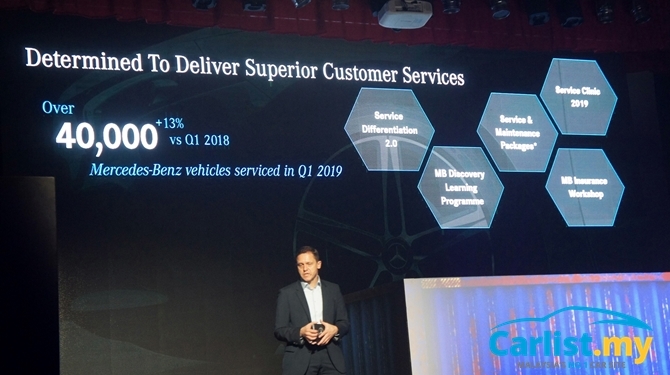 More importantly, MBM’s financing and insurance arm Mercedes-Benz Services Malaysia (MBSM) saw its financing portfolio growing to RM2.7 billion, a year-to-date increase of RM 300 million. Four out of five vehicles sold by Mercedes-Benz Malaysia are now financed by MBSM, which also insures 60 percent of the cars.  The financing business is especially important for MBM to differentiate itself from cheaper grey imports. 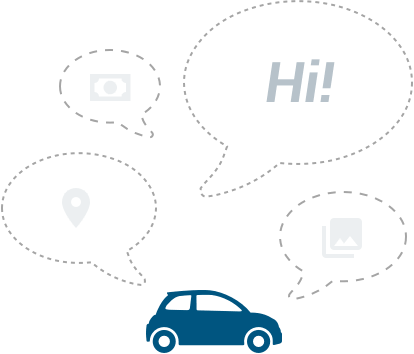 The combination of MBSM’s Young Star Agility Financing and MBM’s wide range of fully warrantied (up to 5 years from date of registration) Certified Pre-Owned cars makes for a competitively priced alternative against grey imports. 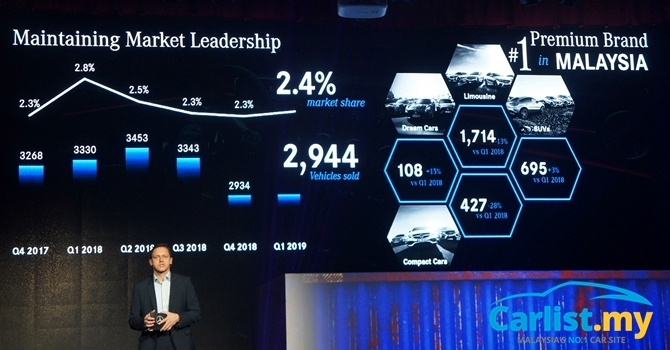 As for after-sales, MBM’s network of 35 dealerships nationwide (the most for any premium brand here) has serviced over 40,000 vehicles in the first quarter of 2019 alone – a 13 percent increase from the same period last year.